Into rivers, for your dog.... sticks were thrown for fun before any sport was ever invented. Next time you take the family outside for a picnic, be sure to spend some time finding a reason to do something simple like tossing a stick. Point it out to your children as it careens down the current, and play the pup's game until she lays down out of exhaustion. 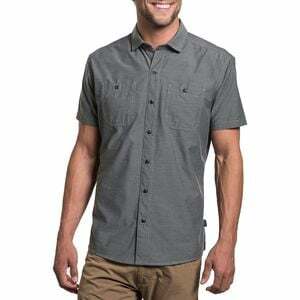 With superior wicking abilities, the Kuhl Men's Styk Button-Down keeps you looking fresh when you get back to a campfire filled with smiling faces.